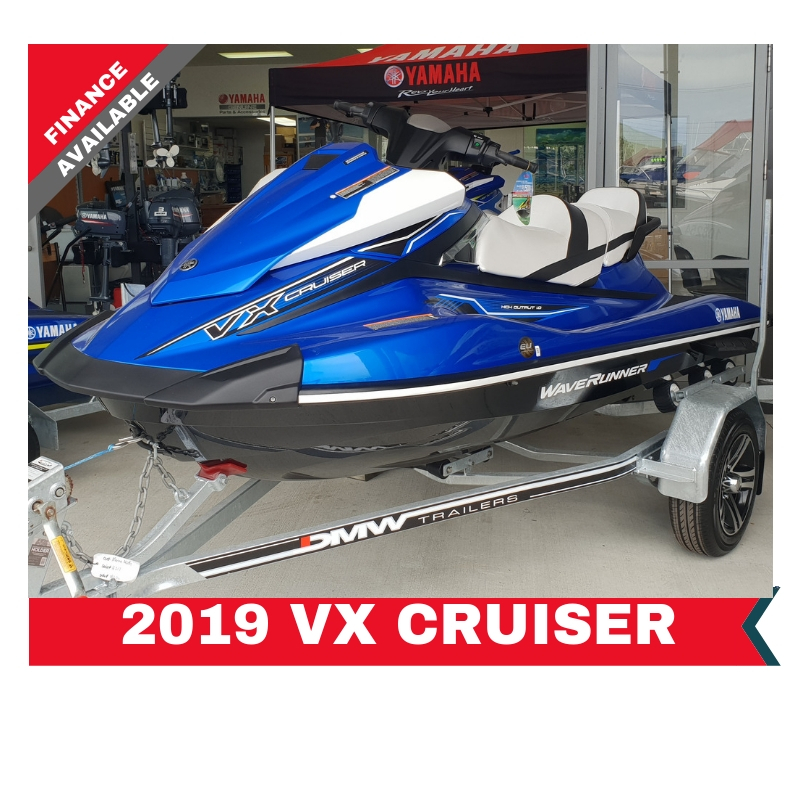 Save up to $1500 off a VX Waverunner and trailer package if you use Yamaha Finance. $1000 off if you don’t use Finance. Big on comfort, performance and value, the Yamaha VX Cruiser offers fuel-efficient towing power compliments of Yamaha’s TR-1 three-cylinder High Output Yamaha marine engine. It also features Yamaha’s signature Cruiser® Seat, innovative RiDE technology, and Cruise Assist/No Wake mode for an awesome on-water experience for users of all skill levels.